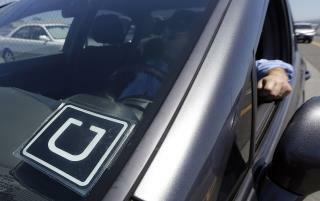 (Newser) – Police say an Uber driver is facing kidnapping and assault charges after taking an unconscious female passenger to a Maryland hotel. Prince George's County Police said Uber driver Westagne Pierre, 29, picked up a female passenger at a bar in the District of Columbia and took her to a hotel about 10 miles northeast in College Park instead of dropping her off at home in Virginia, reports AP. At the hotel, police say Pierre carried the woman from the car into a hotel room. What a disgusting sack of crap. 2007- Never get into a car with a stranger. 2017 - Call for a stranger with a car. Hop in! Don't they have to record Uber trips? It should be pretty clear what her intent was if she gave her address in Virgina then passed out. No mugshot? Guess we can safely assume he is a gentle giant from the inner city.